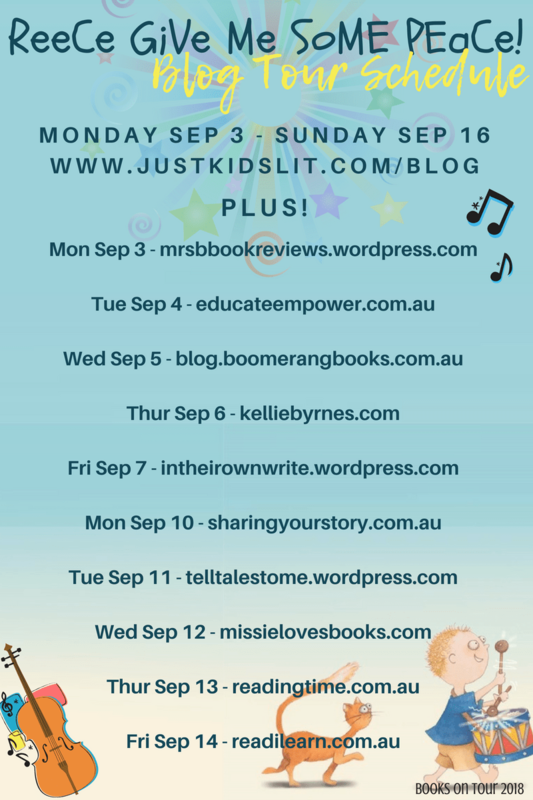 There are a drum load of music-themed educational activities available that would beautifully supplement your reading of Reece Give Me Some Peace! Sonia has listed a variety in her interview here. Today we’ll offer a nice mixture of LOUD and ‘quiet’ activities to suit every music-lovers’ needs. Reece Give Me Some Peace! is jiving with wonderful onomatopoeia. 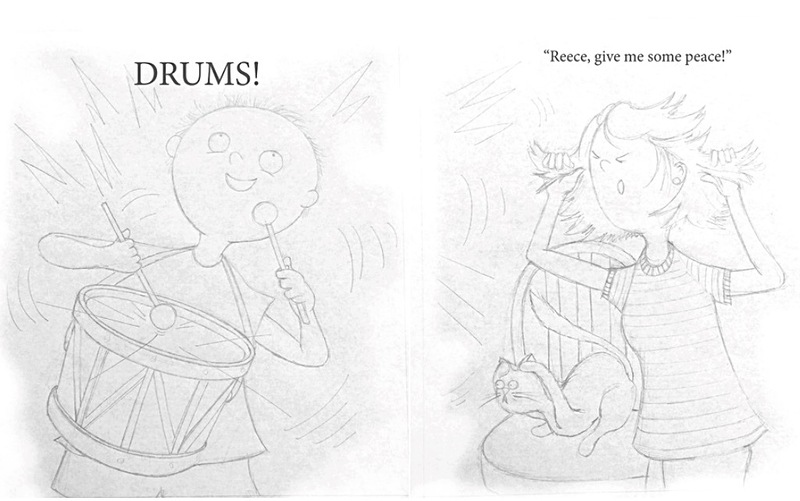 It’s all about the sounds that Reece can make with his instruments. Go on a walk around the room, house, and even outside to listen to the different sounds. Do any of them sound musical or have a particular rhythm? Can you describe them with ‘sound’ language? The whooshing of the washing machine? The ringing of the doorbell? The chirping of the birds? What kinds of objects can you find to make your own music? A spoon banging on a pot? How many sounds did you hear or make? 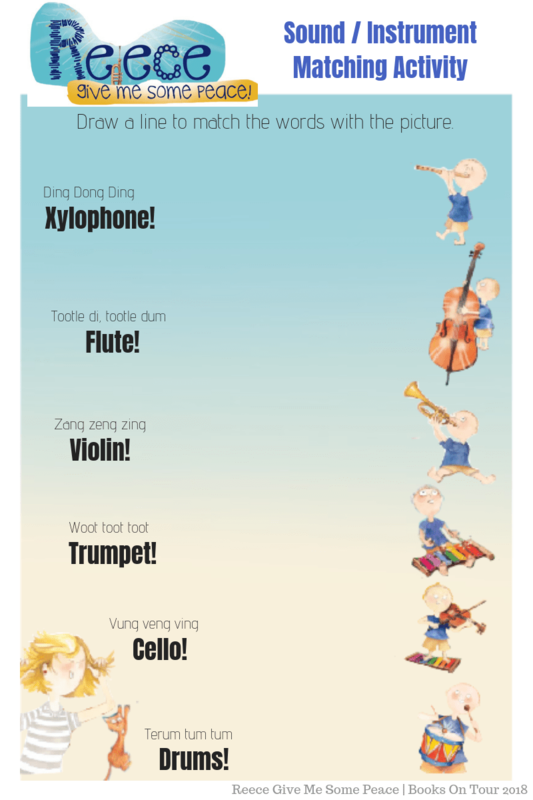 Could you guess the instruments based on the sound described in the book? What instrument makes a perum pum pum noise? How about a ding dong ding? What do you know about different instruments? What are percussion instruments? How about wind, or string instruments? How do they each work? If you have any instruments in your possession, have a play! What tunes can you make? Can you make a high pitch, or a low pitch? Complete the activity below by matching the words / instrument names with the correct picture of Reece. Courtesy of Nancy Bevington and Big Sky Publishing. 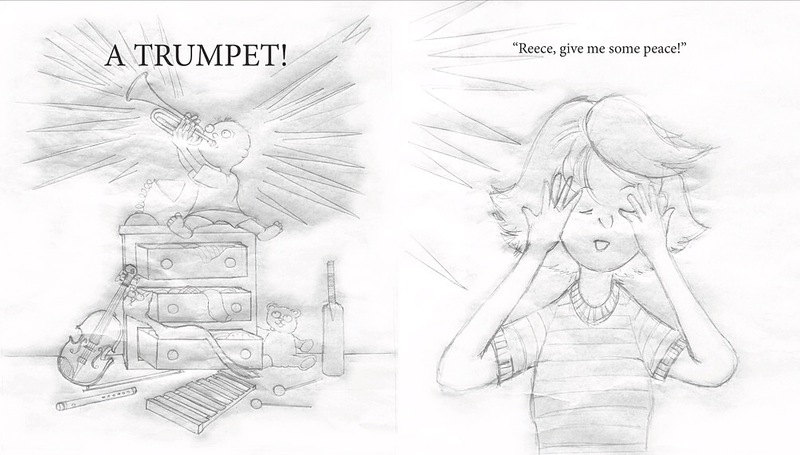 For more educational activities, go to the Reece Give Me Some Peace Pinterest Board. What a lovely collection of activities. Thanks, Romi.